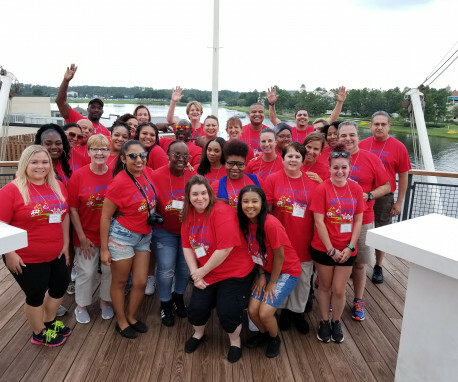 We invited a guest blogger, one of our Give Kids The World ambassadors from Chesapeake Hospitality, to share his experience from this year's volunteer trip. He entitled his blog: Being Given the World. 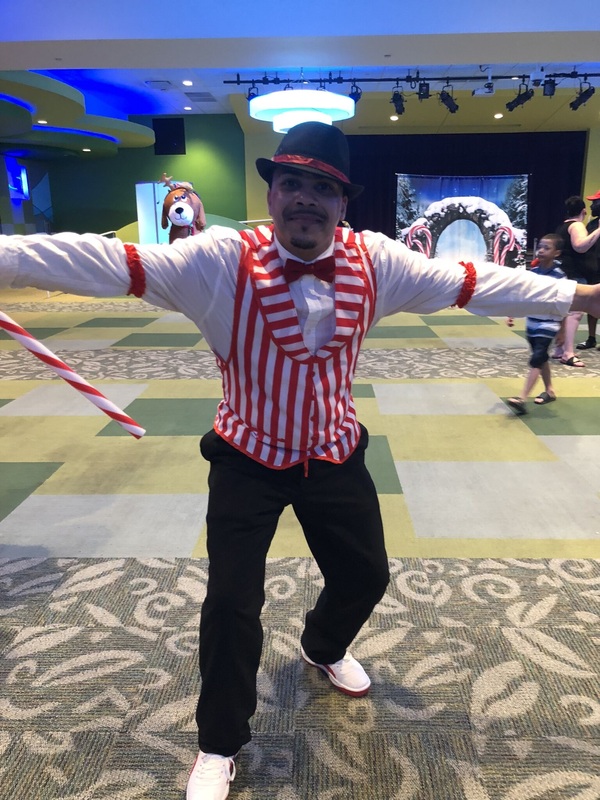 My name is Quinton Detzer and I was given the opportunity of not only being the Give Kids The World ambassador for the Hackerman Patz House at University of MD Rehabilitation & Orthopaedic Institute, but I also had the privilege of visiting Give Kids the World Village in Florida. Even though it's been roughly a week since my return, I am still processing what I experienced. For starters, I had never traveled by airplane (although it had always been on my bucket list.) Outside of a few YouTube videos I'd never ventured to Florida. Ultimately the Village was something magical that I only heard about through work. Even though I make "small" donations through paycheck deductions I had no idea of the impact that I was making. I was made aware by our village guide that over 90% of every dollar donated was used to to operate the Village. That blew my mind! Talk about sensory overload! I'm trying to keep things as concise as our itinerary was, but scatter-braining my experience is the only way to convey to you the emotions I had during my trip. Everyone was great, from Chesapeake Hospitality administration, God protecting me in my travel, the staff at the Crowne Plaza Tampa Westshore (Donovan, Mark, the catering crew) the other representatives of Chesapeake Hospitality and all who aid in the functionality of the Give Kids the World Village. I'm humbled by it all. Even though everyone had converged from all corners of the nation there was a genuine synergy and sense of fellowship. No one individual was greater than the cause. Without the awareness that the village serviced ailing children and offered respite to their families, you would likely think there was no hardship at all. The kids were so spry and full of life while bouncing about! I can share my experience, but seeing the magic at the Village firsthand transcends words. In closing, I would like to thank Mr. Henry Landwirth for laying the groundwork, and leaving the template which makes it possible for us to continue to build onto his legacy. I honestly feel that for a short time I was able to operate outside of the confines of a volunteer, and channel Mr. Henry's spirit. I only hope that he agrees.